We’re proud of the originals in our Laser Etch Line, a design initiative, beautifying the cover lids of the Magic-Flight Launch Box. The laser artisans at Magic Flight cooked up six geometric designs to choose from. Labyrinth, The Tree Of Life, Metatron’s Cube, The Flower Of Life, Star Knot, & The Celtic Tree of Life. Each design represents intricate ancient geometric patterns, exploring the infinite and ever-circulating flow of space and time. From Greek Myth to ancient Egyptian walls, these sacred designs have been used cross-culturally. 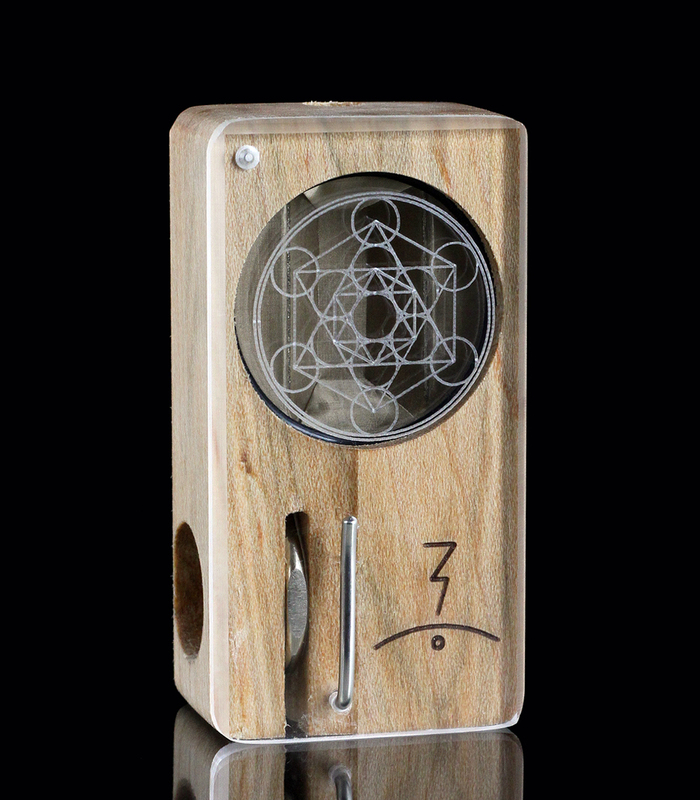 Two of the most desired of the designs are The Tree of Life and Metatron’s Cube. The Tree of Life is a motif that has been used in religion, philosophy, mythology, and popular culture around the world since ancient times as a symbol of immortality, infinite interconnectedness, wisdom, and life-nourishment. To this day, The Tree of Life is referenced by many artists, and even represents the scientific organization of evolutionary relationships between all living organisms. Our specific Tree of Life is derived from Kabbalah, a mystical faction of Judaism, in which it represents the process by which the Universe came into being as well as man’s place within the Universe. Metatron’s Cube is a highly geometric aspect of the Flower of Life that was first discovered by a medieval Italian mathematician. The figure, Metatron, is the ultimate communicator between the divine and humans in a variety of apocryphal texts, and many believe his cube to contain sacred geometry that will allow us to understand every living being. The cube contains the five three-dimensional “Platonic solids” which represent the five elements: fire, water, earth, air, and ether. Not only do these shapes each fit perfectly inside a sphere with identical faces, edges, and angles, but also it has been proven that their forms are the basis of the entire periodic table of elements. Within the complex shape, one can see a hexagram, a symbol of duality, and a star tetrahedron, which is thought to be the energy field around each of our bodies. Another structural beauty to Metatron’s Cube reveals a hexagon, a shape found in naturally occurring phenomena such as honeycombs and flowers, implying that there is a mysterious universal order. Within this abstruse design, you will explore the synchronicity of the universe, and encounter the mathematical, natural, and metaphysical unity between yourself and the world around you. All Laser Etch patterns can be ordered in Maple, Cherry, or Walnut wood. This entry was posted in Products, Uncategorized by Magic-Flight. Bookmark the permalink.